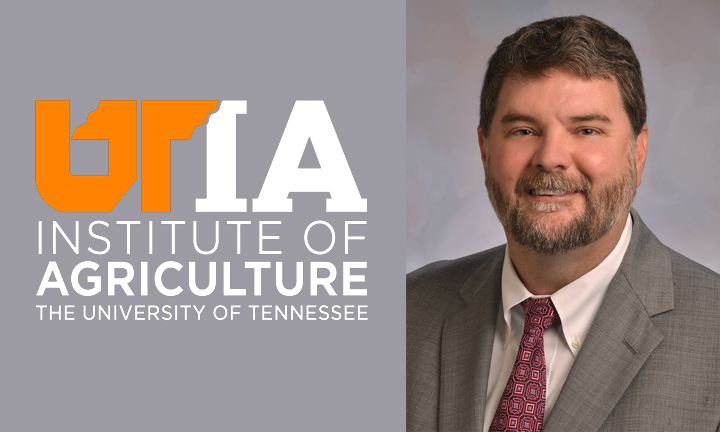 The University of Tennessee Institute of Agriculture has chosen a new leader for UT Extension, and he’s home grown. Dr. Robert Burns is a native of Walland, Tennessee, who holds a Ph.D. in civil engineering, an M.S. in environmental engineering and a B.S. in agricultural engineering – all from UT. He will manage UT Extension’s statewide educational and outreach program that helps ensure the success of the state’s $4.3 billion+ agricultural industries. UT Extension also coordinates with local, state and federal agencies regarding public health issues and youth development. UT Extension works with local governments to provide educational services regarding agricultural production, natural resource management and family and consumer sciences through an array of adult learning opportunities. UT Extension also manages Tennessee 4-H, the state’s branch of the USDA’s national youth development and leadership program. With more than 176,000 members and volunteers, Tennessee 4-H is among the nation’s largest 4-H programs. Burns has been serving UT Extension for the past seven years, first as Assistant then as Associate Dean, managing agricultural and natural resource and community economic development programs in all 95 counties in the state. His other previous experience includes serving on the faculty of Iowa State University and as a National Conservation Engineer with USDA-NRCS. He also spent nine years on the faculty of the UT Institute of Agriculture as a water quality specialist supporting county-based programming on animal waste management and nutrient management for livestock and poultry operations. He succeeds Cross, who was promoted to serve as UT’s Chancellor for Agriculture in January of this year. Dr. Delton Gerloff, head of the Department of Agricultural and Resource Economics, has served as interim Dean of Extension. Burns grew up on a Blount County beef cattle and tobacco farm and first became acquainted with UT Extension when he joined 4-H in the fourth grade. A self-proclaimed product of the land-grant educational system, he is excited to begin his new role. “I have seen and understand the positive impact that Extension educational programs can have on people’s lives, and I am honored to have the opportunity to serve and support our UT Extension staff to help make Tennessee a better place to live, work and raise a family.” As Dean of Extension, Burns will expand his role in offering real life solutions to Tennesseans and beyond. Burns will begin his appointment August 1.